One of the best sportsbook betting opportunities of all time is headed towards a cataclysmic conclusion. After a four-city world tour, after a constant back-and-forth between two of the best trash talkers on the planet, after all the speculation from both the MMA and boxing communities, it all goes down this Saturday. Who will walk away with all the glory: McGregor or Mayweather? Regardless of how one may feel about this fight, whether one believe it to be a non-competitive spectacle or the greatest fight in the history of combat sports is irrelevant. What is of the utmost importance is capitalizing on the myriad of lucrative prop bets US sportsbooks have put together for this particular event. Of course, sportsbook betting fans could always bet on either fighter straight up. However, considering how much McGregor fans have moved the line, betting on the Irishman straight up would not be as rewarding now as it would’ve have been before. Alternatively, the line on Mayweather is the best it’s been so a wager on Money could return more money now than before. But because we’re looking to place some last minute bets on the McGregor vs. Mayweather mega-bout, we should focus more on the innumerable prop and special lines that top sportsbook sites are putting together for this bout. There is literally a line for anything you can think of. Let’s take a look at what kind of action MyBookie.ag is putting together for this once in a lifetime event. Will Mayweather Wear ‘TMT’ Hat During Walkout? Will Justin Bieber Wear Sunglasses During Walkout? Will Either Fighter Lose Mouthpiece During Fight? Who Will Have More People During Fight Walkout? As you can see, it is possible to wager on a number of facets of this fight. Prop betting adds a little twist that is too fun to turn down. And just like with most other sportsbook betting opportunities, it takes a little bit of knowledge to turn a profit. Mayweather is almost always seen walking out with a hat on his head, even if it is a sombrero instead of a ‘TMT’ hat. Likewise, if Bieber were to accompany Money, you can bet your bottom dollar on the fact that he will be wearing sunglasses. This fight is the biggest sportsbooks have ever had to cover and it has brought a surprise few bookmakers could’ve foreseen. Most people betting on this fight have chosen to wager on McGregor, which is why the odds have dipped so much in the Irishman’s favor. Originally, Notorious was listed as a +700 favorite, and now is listed at +350. 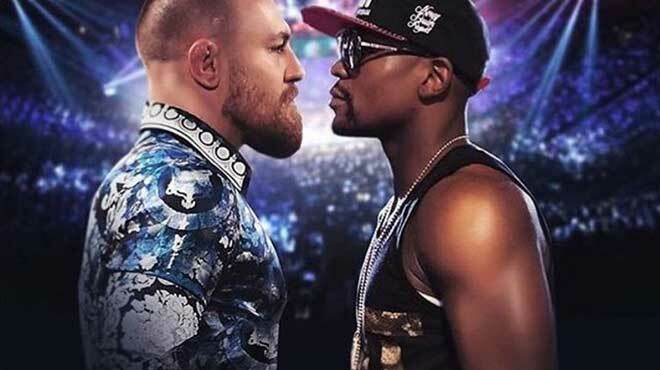 That means that McGregor is currently facing better odds at beating Mayweather than any of Mayweather’s opponents – Canelo, Pacquiao, De La Hoya, all of whom are professional boxers. It’s going to be an interesting turnout to say the least. One that could be auspicious for daring bettors and catastrophic for US sportsbooks.